A reticule to match my ball gown, with tassels, pearls and white embroidery. 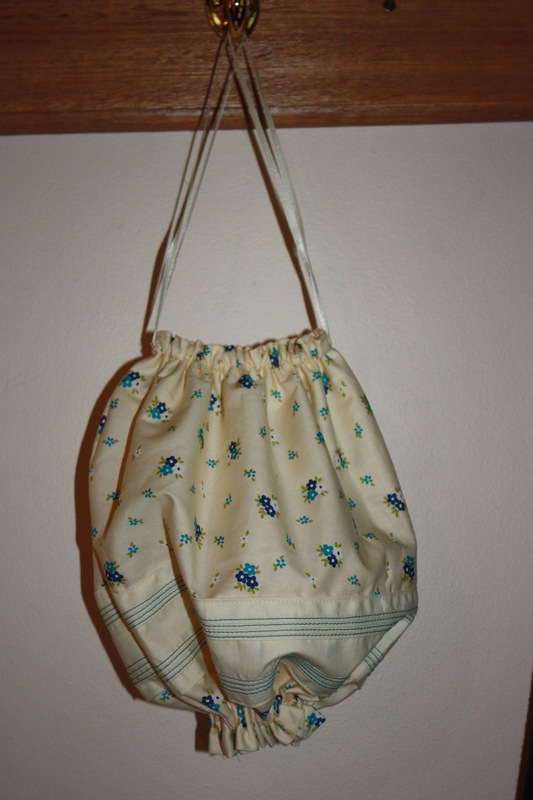 The ninth stop on my Regency Journey is to make a reticule, the Regency version of a handbag. In the 18th century, women had carried their various personal effects in pockets worn underneath their wide dresses, but with the introduction of the long slim dresses of the Regency, pockets were discarded. Instead, women began to carry small bags, called reticules. There was no “common” type of reticule in the Regency era, much like there is no “common” handbag today, but instead there was a wide range of designs, colours and embellishments used. There were knitted ones, netted ones, and others made out of fabric. They were decorated with embroidery, sequins, lace, tassels, ribbon and beads. I wanted to make several reticules to match the different outfits I had made for the Jane Austen Festival. This meant that I could experiment with several different designs. A round-shaped reticule to match one of my day dresses. It has a decorative strip of pin-tucked material sewn around the bottom half. There are many online tutorials and free patterns and instructions for making Regency reticules, so rather than repeat what has already been done, I will outline the basics. Regardless of your design, lining your reticule is preferable, as it gives a nicer finish because there are no raw seams showing. If you are gathering the bottom edge of the reticule (as you do for a round-shaped one), the lining will stop items falling out the bottom, as there is a small hole around the bottom gathers in the outer fabric. Gather the top with a two-way drawstring, that way it is easier to close. It also means you have two nice handles to hold it by. 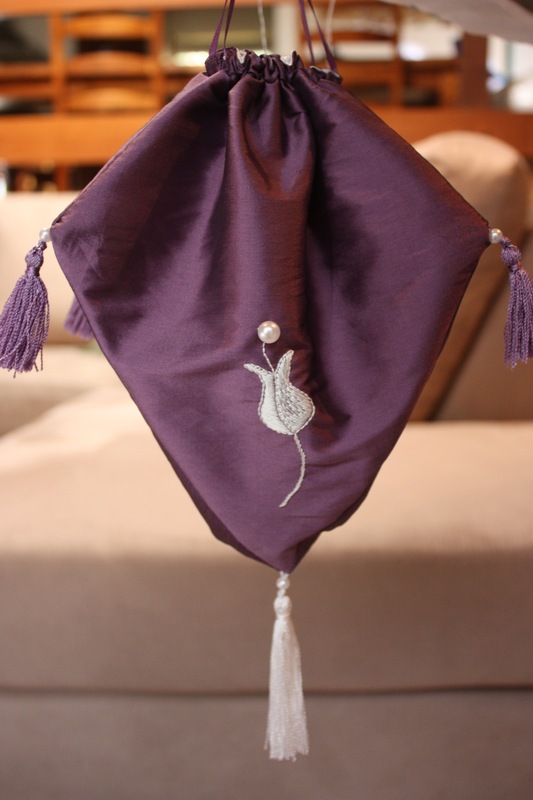 A reticule with matching bonnet. I embroidered my initial on the bag and did some ribbon embroidery flowers to decorate it. The pattern for this shape is pictured below. There are quite a few different shapes that a reticule can take, so experiment with different patterns. Embroidery on reticules was very common in Regency times. If you are not very confident doing your own embroidery, try and find some fabric that is already embroidered. It is a good idea to finish decorating the outer bag before attaching the lining! I was amazed how difficult it was to attach tassels once the bag was made! Whilst reticules did not always match the dress worn by a lady, making matching ones is a great way to use up left-over material! It’s my cup of tea! The next stop on My Regency Journey is looking at Regency accessories. You can read all of my posts in order at My Regency Journey. 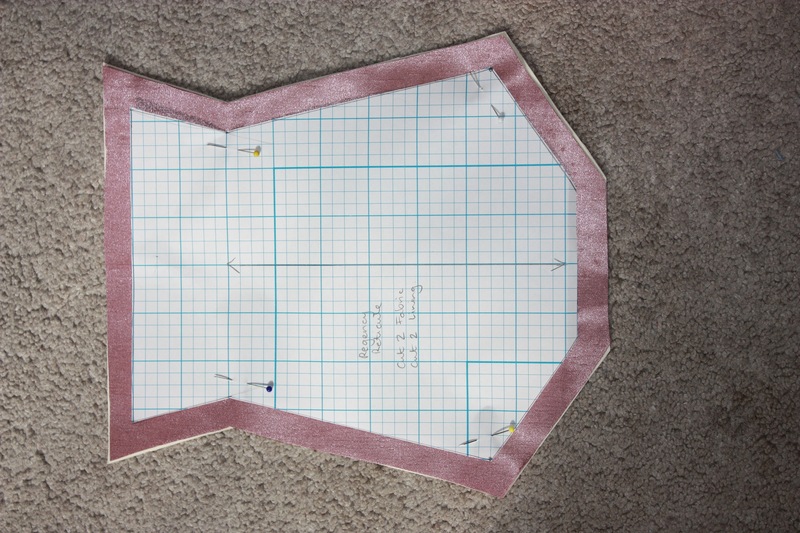 Free pattern for a reticule – I used this to make my ballgown reticule.